Monks for a Month and their presenters. The Rev. Matthew Wright, pastor of St Gregory’s Episcopal Church in Woodstock, NY began the Institute with lectures on Christianity in an Interspiritual Age. He was followed by Fr. Luke Dysinger, OSB from St. Andrew’s Abbey in Volyermo, CA with two weeks of lectures on The Rule of Benedict. Mother Rebekka Willekes, Abbess of a Cistercian Women’s Abbey in Klaarland, Belgium concluded the institute with 10 lectures on the Essential Elements of Cistercian Life. In this issue of Postings and issues which will follow, we want to share what the initial experience was like for the participants and track where that experience takes them as they move forward from the inaugural institute. In this issue we are featuring the reflections of Fr. William Graf, Barbara Pegg, Luke Miller, and Rev. Stuart Taylor. Reflections from others will follow in subsequent issues. Almost caught a squirrel this morning. However, I did manage to score 8 dog treats from gullible retreatants. Not a bad day overall. I wish they would stop waking up at 3:00 o'clock in the morning though. The daily rhythm of prayer, work and meals in silence offered an opportunity to take some much needed time of listen to the voices within me. Physically my arthritis reminded me that I should walk more to keep my knee joints more active (amazing how much better I was feeling by the end of the 30 days at Mepkin). The meatless diet of delicious meals (including ice cream on Sundays) helped me there also. How many times I had been encouraged to exercise and watch what I ate. The Institute offered me the time and leisure to do just that. Emotionally I was drained because of the challenges that come with teaching college students and listening to the evening news. Negative voices were swirling around in my head as I drove the 925 miles to the monastery, but the silence and positive discussions about the first-rate lectures on prayer, the rule of Saint Benedict, friendship, and the charisms modeled in the lives of the fathers and mothers of the Cistercian tradition all were sources for healing. As I was driving back home I reflected on all this and realized the positive conversations during our small group discussions after the lectures had brought a much needed sense of peace and healing. The Rule of Saint Benedict expressed in the Cistercian tradition requires the monks to do some manual labor each day as a way to support the community, but also as a way to share “in the divine work of creation and restoration.” I also viewed manual labor as a way of living in solidarity with others who do manual labor: an awareness of their struggles as they go to work each day. We worked, for the most part, in silence each day. For me, those 3 hours were most beneficial and healing. I thought of those who worked to support their families: some with rewarding positions; others with less rewarding jobs. I thought especially about those in less rewarding daily grinds: What motivated them each day? What did they think or dream about during their hours of monotonous work? Did they have the luxury of reflecting on their life within a supportive place of work that shared similar values? 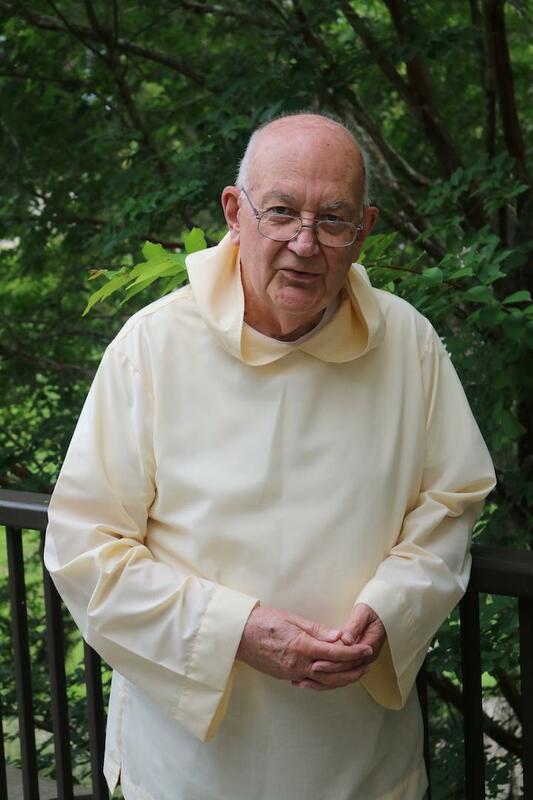 For me, the hours of working in silence offered the opportunity to give thanks for my own religious and educational background that provided me so many opportunities for being creative in pastoral ministry and a college classroom. Those same times in silence challenged me about choices in my life when I carried on a conversation. Did I really listen to others before I spoke? Did I talk too much? Did I know when to stop talking? Did I leave the encounter on a positive note? Did I use my God-given gifts to give life? Am I willing to let go so the other might explore his/her unique set of gifts? Cutting the stems off mushrooms and bagging the dried ones for sale at the monastery store in silenceafforded me plenty of time to reflect on these and still other challenging questions. The experience also allowed me the time to count many blessings and struggles and still be grateful. 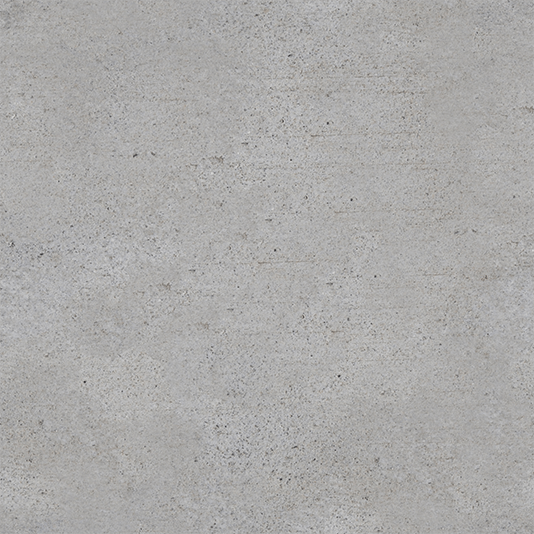 If I were to choose the most sacred time for me during the month of the Monastic Institute, it would have to be the hours spent in silence doing manual labor. The sixteen of us who made up the inaugural Monastic Institute came from various backgrounds and religious experiences. I had an overwhelming sense we were all searching out answers to our own unique questions but were deeply committed to walking together on the journey. At challenging times during the month that mutual care for each other is what kept me praying and working with joy. As often happens in my daily life at home, it is the selfless people I spend time with that fills my life with joy and laughter. I was very lucky to find such a community for the month of July 2018 singing psalms and harvesting mushrooms. “Gracious and Loving God in every generation you call men and women to leave everything following Christ into the desert….” The call of the desert is a call to return to the origins of the people of God when God led Israel through the wilderness for 40 years teaching them to trust in God’s covenant love and providential care. The call to the desert leads us down a path walked by John the Baptist who was a voice crying in the wilderness calling the people to repentance symbolized as return to their origins in the desert; Jesus Himself responded to the call to the desert having received the baptism by John in the river Jordan and the unconditional blessing of his Abba Father refined his own sense of messianic calling by resisting the temptations of Satan for 40 days. Following in this path we honor the desert fathers and mothers of Egypt who took up the mantle of this calling embracing silence, emptiness and repentance. This call has spread to other peoples, times and places including the Celtic saints of centuries past. And today men and women hear this call to follow Christ into the desert “…being of one heart and mind in peace, humility and simplicity”. 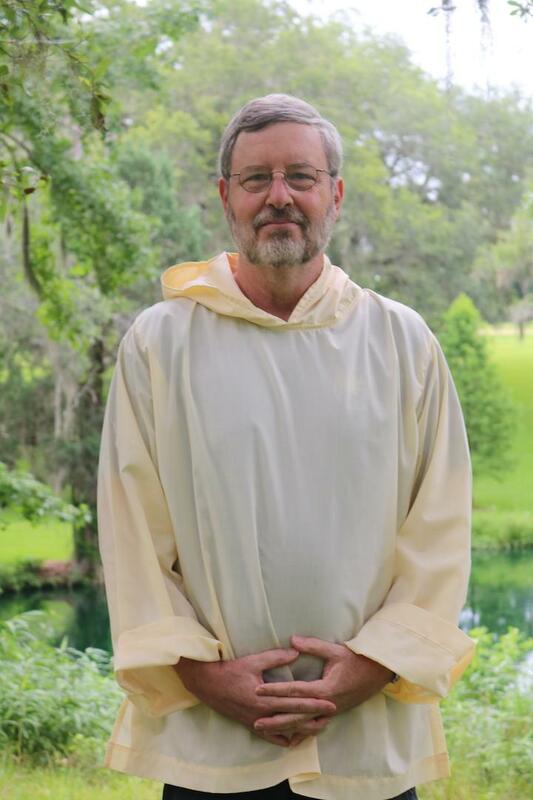 With gratitude for this spiritual taproot, this well-spring of the truly abundant life, I seek to respond to this call by exploring and deepening my own monastic vocation in the following ways. Desire: The call to the desert is undertaken because of a great desire. As written in the Song of Songs a favorite text of the Cistercians- Kiss me with the Kisses of your mouth O God. The Beloved of God cries out in longing to the Divine Lover. Draw me after you! The Kiss of God is the incarnation of God’s love, the word made flesh in Christ, leading us down a path proclaimed by the prophet Hosea who wrote: “Therefore I will now allure her and bring her into the wilderness and speak tenderly to her”. It is God’s tender love which shall transform the desert into Paradise. Humility: Not counting equality with God a thing to be grasped we open our hearts to the self–giving of Christ described as the “kenosis” of Philippians 2, a waterfall of mercy that flows irresistibly from God’s heart to the depths of the human condition. The knowledge of Christ in his self-giving love cannot remain in the head but must further descend into the heart. And it is His practice of humble self giving that must characterize our life with others. Silence: We seek the deepest silence through the practice of centering prayer, making the journey from the noise of the mind to the silence of the heart at rest in the grace of God’s presence. In this silence we can hear the tender words that you will speak to us. Your Word of life arises from the silence at the depths of our being. In this deep silence where we cease to exist, God becomes all in all. Detachment: The faithful practice of the ascetical life with the help of God will educate our desire so that we prefer nothing to the love of Christ. I dedicate myself to the ascetic practice that is characterized by a growing detachment from my appetites and a moderation in my consumption. I will watch and keep vigil over the ways in which the seven deadly sins can distract me from the still small voice or seek to otherwise fill the God-shaped emptiness at the core of my being. The Yoke of the Monastic Life: “Come to me all you who are weary and heavy laden and I will give you rest. Take my yoke upon me and learn from me or I am meek and humble and heart. And you will find rest for your souls for my yoke is easy and my burden is light”. Seeking to take up this yoke of monastic life through obedience to the rule articulated below, I join my prayer with others who pray: We come before you now asking for the grace to be faithful to our vocation, striving to live in the communion of love which surpasses all other gifts. May women and men of our time hear the call to live the Gospel in the monastic way in service of the Church’s mission by constantly seeking your face in prayer, work and community life. 1) Silence:Resist culture of noise and over-stimulation to make space for another voice to be heard by Limiting News and Television; Practicing greater silence and humility of speech in my daily interactions. 2) Contemplative Prayer:Consider earlier beginning for morning prayer (5:30?) to allow time to continue spiritual reading; Try using Give Us this Day for 2 month experiment as format for morning prayer; Do Lectio Divina Gospel of the Day Centering prayer; Add Evening Prayer at least 3x week and do rotation of Psalms- either entire Psalter or favorite 30. Do “examen” and journaling around how I am doing with obedience to my rule of life. 3) Hospitality.Welcoming the stranger both within by offering compassion and welcome to the unclaimed parts of myself; (inviting even my demons in for a cup of tea) and hospitality without- to the people who cross my path and those I invite into my home and church or my life. 4) Community:Practicing greater openheartedness to my congregation; engaging my immediate family on a more regular basis. Reaching out to the people in my life who are kindred spirits to deepen our sense of fellowship especially to the ones who are soul friends- my “anam cara” mentors; and to my Presbyterian colleagues who share my commitment to peace and justice. 5) Kinship with Creation: Continue my ministry with Watershed Now; continue hiking/ kayaking on a regular basis; expand my physical fitness regimen to include weights; practice a healthy “ascesis” of moderation in food and drink. 6) Work:Be more fully present to work; relinquish resentments and fears about my congregation. Continue discernment around retirement and next chapter of my life. In my ministry of peace and justice: Continue offering leadership to the Peace and Justice task force; discern with them the possibility of going deeper in our community; continue Watershed Now environmental stewardship; Continue work with immigrant community. Dedicate myself to the next course on water at Wake Forest School of Divinity. 7) Sabbath:Do a monthly desert day; engage in at least two working retreats per year. Return to Mepkin on Christmas week. 8) Conversion:Focused interior work on priorities among the seven deadly sins: (pride, lust, gluttony, anger). 9) Creative Joy:Openness to new visions for earth’s peace and prosperity; including Cherokee trail of Tears pilgrimage and public art and creative worship on water with Martha Bassett. ﻿Folks sometimes ask: “What was it like – this month as a monk?” I answer: “It was transformative and exhausting. I want to go back.” Then I tell them: “Monks are sleep deprived, remarkable, resilient, among the very strongest people I know. I think the charge: “Know thyself,” was first said to describe a monk. It surely describes the ones who befriended me in the first Mepkin Monastic Institute. I want to be a monk for longer than a month; I want to be a monk for life. And I wonder: How can a grandmother like me do that? I am working on a Rule of Life and ask myself: How can I keep a Rule to regulate my life without a community of brothers and sisters around me who live the best Rule ever - The Rule of St Benedict? There is a saying I learned from my spiritual directory, Fr Joe, while at Mepkin Abbey: “If we go to heaven, we go as a community. If we go to hell we go as a community. And we are on the way.” I think this is true of all of us human beings, part of God’s creation. During the time at Mepkin there were days I believed we had arrived, in heaven I mean. The month with the community at Mepkin helped me realize in a deeper way that Jesus did not come to take us to heaven but to bring heaven to earth, which is precisely what we prayed every day at least 7 times, “Thy Kingdom come, thy will be done on earth as it is in heaven” It is wonderful beyond description when heaven and earth meet. I am still carrying heaven inside me. The Rule of Benedict begins with “Listen.” …Bend the ear of your heart. That charge is followed with “Prefer nothing whatever to Christ.” That preference, that desire, is basic and drives everything that happens in the monastery. I want that desire to drive me now. 1. Listen. God is speaking now. The scriptures are a privileged place of encounter with God and so is the encounter with everyone I meet today. 2. In my “rule of life” I have written: “Give up your own will at least once a day.” One day last week a friend asked me to help him deliver meals on wheels. Just before I opened my mouth to answer, “No, not today. There are some things I need to do,” I remembered: “Prefer nothing whatever to the love of Christ,” and I said. “Okay. Sure.” It took longer than expected and I met “Bad Bob” who can’t get out of his chair and is alone in a house he can’t navigate since his wife died of cancer. We fixed coffee for him and well, I may give up my own will more than once a day soon. 3. Caffeine is a monk’s friend, especially around 3am before Vigils. I only made it to Vigils twice but caffeine is my friend too and sharing it with “Bad Bob” made me happy. 4. 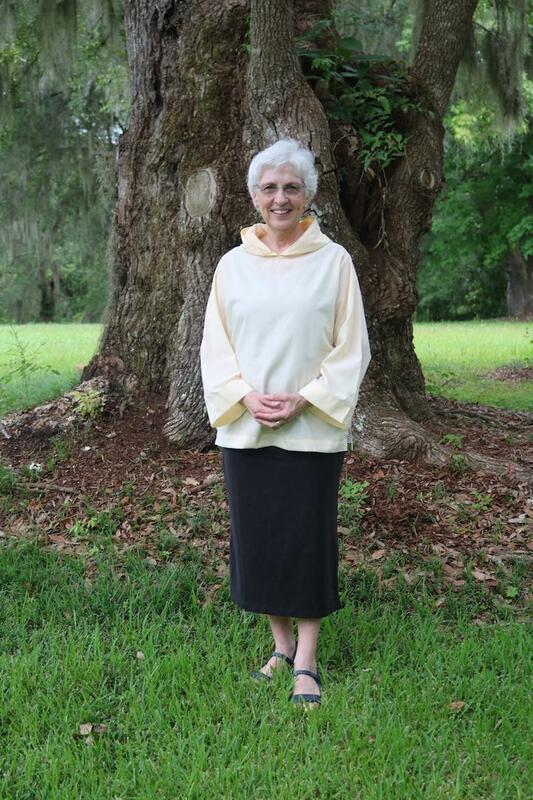 I am a lay Dominican, Order of Preachers, and I want to preach in a way that speaks to my grandchildren who think I’m just an old woman obsessed with “God talk.” My spiritual director at Mepkin said: “If you can speak to your grandchildren you would be speaking to most every family I know including mine.” He prayed a blessing over me at the end of the Institute and I cried. Today I read it again and I am still crying. He is one of those friends who is a “keeper of your soul.” I want to be that kind of friend to others. “Institution.” My friend wants to create a school of service as the rule of lifefor this church without walls, what Jesus did and what his servant Benedict wrote a Rule to create. I think there are others who have the soul of a monk out here in what passes as the “real world!” Please God, help me find more. The more I read about monasticism, the more I longed to experience it. And then one day, I stumbled across an advertisement online: “Be a Monk. For a Month. For a Year.” Instances like these bolster my belief in divine providence. 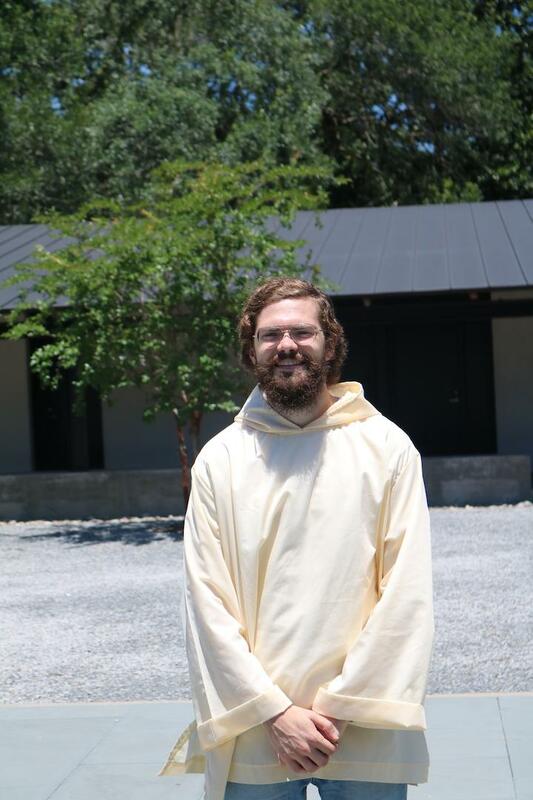 I jumped at the opportunity to spend a summer at Mepkin Abbey, and I was fortunate enough to be accepted into the inaugural Monastic Institute. I arrived in ironically named Moncks Corner, South Carolina with high hopes for my summer. The prior summer I had moved across the country to attend grad school in Alabama. Needless to say, it was a tremendously difficult transition. I desperately needed the Monastic Institute to be a sort of personal renaissance. I was cautiously optimistic about what might transpire as I settled into my new, beautiful swamp home. 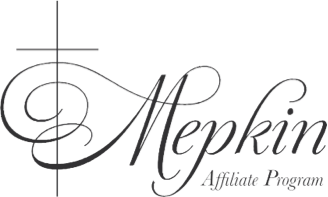 What made my month at Mepkin so transformative? Of course, there are manifold answers to that question. But here are a few things. Silence. I’ll start with the easy one. Everyone goes to a Trappist monastery for the silence. I expected the silence to be a refreshing break from the incessant noise of contemporary life. It was that, but it was so much more. My month in relative silence made me a more intentional and compassionate person. When you aren’t speaking, you start listening: to God, to others, and even to yourself. I began to scrutinize every word I said. I realized more than 90% of the things daring to exit my mouth were unnecessary at best and blasphemous at worst. To stop a leak, you have to shut off the water, and looking back now there is no doubt I needed to stop the spew coming from my mouth. More significantly, silence made me profoundly and uniquely aware of the other in my midst. We imagine silence would destroy intimacy—how can you grow closer without disclosure, and how can you share without words, right? However, this false conclusion actually harms the depth of our relationships. Because we are afraid of silence, we fill our time with superficial chatter. Instead of focusing on the other, we focus on what we can say next. Instead of sustaining this vacuous white noise, silence invites a deeper sort of sharing. When you are free not to speak, you become intimately aware of the other’s presence. 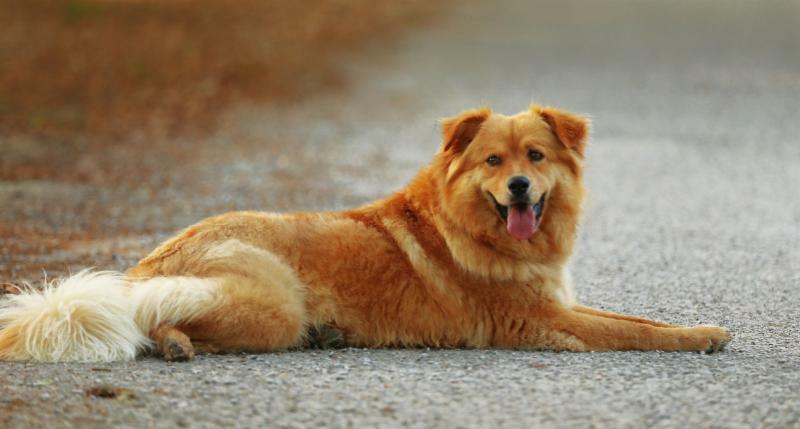 This awareness of the other’s being invites a newfound sense of acknowledgment and empathy. Time: The monastic life is an ordered life. There is almost no idle time, and nearly every minute is allotted to prayer, work, or some other sanctified end. The day is structured around the Liturgy of the Hours, and the vast majority of the schedule remains fixed from day to day. I found this consistency to be essential to my physical and spiritual well-being. Before I experienced it, I imagined life at the monastery would include significant times of uninterrupted meditation and leisure. However, the monastic life is involved. It’s not hectic, but it is full. I never woke up wondering how to spend my day, and I never went to bed wondering where my day went. I slept well each night knowing I had not wasted my time. Distractions: Speaking of waking up without having to wonder about things, the monastic life removes a wealth of distractions. Some distractions I expected lose (e.g., technology). However, the pruning went much farther than the obvious culprits. 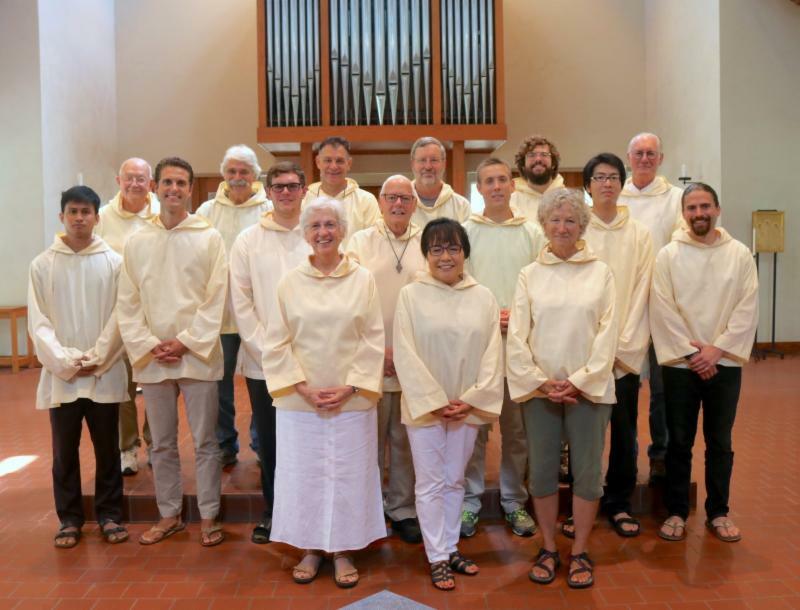 For example, I never woke up wondering what to wear because I wore the same monastic garb each day. I never worried about what to eat because you ate what was put before you. In the monastery, even the minutest inconsequential decisions are removed from you so you can give yourself wholly to prayer. Mindfulness: Prayer is in fact the goal of the monastic way. Everything we did was aimed at cultivating a deeper life of prayer. Often, this meant learning to practice the presence of God. Whether you were in the church, farm, refectory, or wherever you found yourself, one thing remained constant: how could you live in God in that moment? I never realized how feral my mind was until I tried to practice contemplative prayer for 25 minutes straight. Mepkin helped me to take my first baby steps in mindfulness, which is so desperately needed in this day and age. Physicality: We live in the digital age where everything transpires behind a screen or in the cloud. My time at Mepkin put me back in touch with my body and with the earth. Shoveling compost every day reawakened me to the reality of my body. Instead of gazing at a screen, I went outside and exerted myself. As we finished bag after bag, I was actually seeing the fruit of my labor. I got dirty. And I learned to love the land I worked. Mepkin taught me the importance of place. Each day I walked to the chapel, refectory, farm, and wherever else I needed to be. Mepkin was my home, and I never left. I never needed to. The land there provided me with all I could want. I loved the land because it was my home, my office, and my playground. 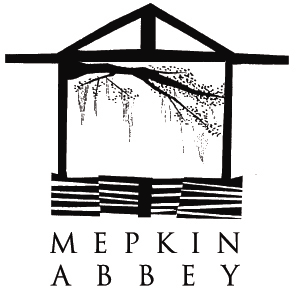 My time at Mepkin was a kind of spiritual bootcamp. It wasn’t always easy, but it was absolutely worthwhile. Our individualistic culture doesn’t like to admit it, but we are thoroughly shaped by our environment. If nothing else, monasticism cultivates an environment conducive to going deep with God, yourself, and others. Many people at the monastery said it was the closest thing to heaven on earth. This resonated with me, but not because everything there was perfect. The monastery isn’t immune to the conflict, politics, or selfishness that plagues the world. Most importantly, the monastery doesn’t purge you of your biggest problem: yourself. However, what people taste at the monastery is life as it was meant to be lived: an ordered rhythm of prayer, work, and community. It is a life immersed in reality, not distraction—a life open to God, your true self, and the other. It is life in a loving community where together we try to “[prefer] nothing whatever to Christ” (St. Benedict). I nterested in contributing to the Monastic Institute newsletter?